For how unique it is compared to other games in the Mario line, it’s amazing how easily Super Mario Bros. 2 is taken at face value or glossed over entirely. Many fans are happy to share the fact that the game is actually a reskin of Japanese title Doki Doki Panic after the original Super Mario Bros. sequel was deemed too difficult and unfair for Western audiences, and that has always seemed to sum it up. End of story. What else matters? 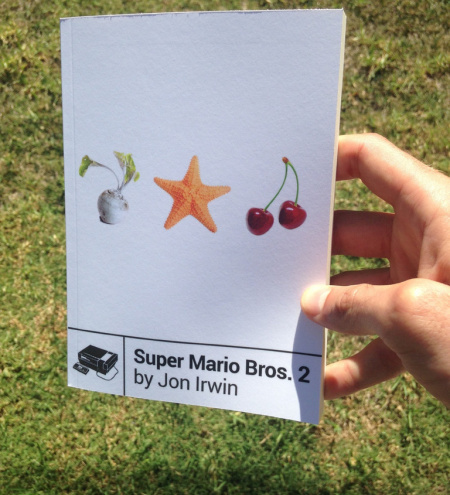 Jon Irwin’s Super Mario Bros. 2, part of the Boss Fight Books series, strives to prove that a great many things about this quirky game matter, and that even the ways we know Mario and Nintendo today could have very well hinged on the success of this transplant. Reaching the points of these arguments is an adventure in itself, and a surprisingly eye-opening one at that. Properly understanding the impact of Super Mario Bros. 2 is to study it from a lens unfiltered by all the Mario titles and spin-offs that succeeded it. To borrow imagery from the game itself, Irwin freely dives into the vases of history, pulls up the sands of time that bury the keys to Super Mario Bros. 2’s importance, snatches them and bolts away from the Phanto masks of complacency, screaming the entire way. 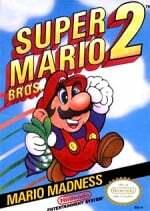 It quickly becomes clear that, although Super Mario Bros. 2 feels like a somewhat isolated project compared to its series brethren, you can’t concentrate solely on the game itself to demonstrate its influence. The book takes a broad scope, including the interesting history of Doki Doki Panic, reception of the original Super Mario Bros. 2 (aka The Lost Levels) at both Nintendo of America and in Japan, and Super Mario Bros. 2’s iconic cover placement on the first issue of Nintendo Power. The conceit of these tales, known alternatively as The Arabian Nights, reminds me of the tale of Nintendo. We, the royal players, are held in their interactive stories’ thrall. They keep making them, over and again, for fear of losing our interest. To stave off such inattention, they’ll even go so far as to cannibalize their own work to spin another yarn. 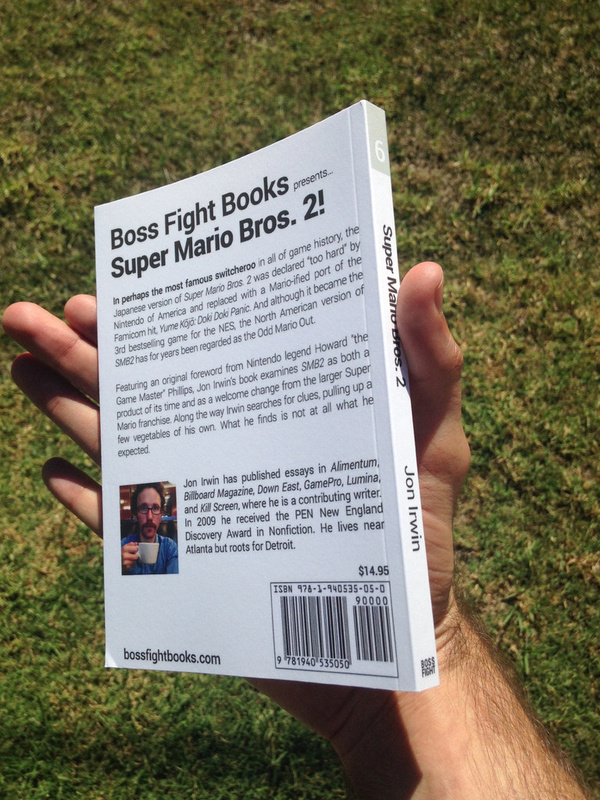 As a series, Boss Fight Books embraces weaving the author's personal experiences — both with the game, and otherwise — into their works, a behaviour that Super Mario Bros. 2 is happy to continue. Irwin recounts a range of experiences, from playing the game as a kid to attending a Mario-themed burlesque show(!) as an adult. There is even a small crisis of maturity when he has to balance playing Nintendo for study and facing the passing of a loved one. These personal accounts seem a bit isolated from the research-based focus of the majority of the book, but this is not a bad thing. Both forms can freely co-exist, and the first-person narratives are individually poignant without feeling like an interference. Super Mario Bros. 2 shines a much-needed light on a game whose significance has rarely felt fully understood — or even fully considered in the first place. At the same time, it also shows how the game’s success helped steer Nintendo down the path toward becoming a company that consistently recasts its characters and rewrites its own history. This is required reading for game historians, with accounts from Nintendo of America figures adding to the record, such as Howard Phillips, whose role as Ninty's official "Gamemaster" played a significant role in influencing Mario's Western fate; there's also Gail Tilden, who helped launch Nintendo Power. For anyone who’s even just curious about the game, though, Irwin's relatable writing and healthy seasoning of humour make it an engrossing and enjoyable read. Super Mario Bros. 2 will be released on Oct. 6, 2014. 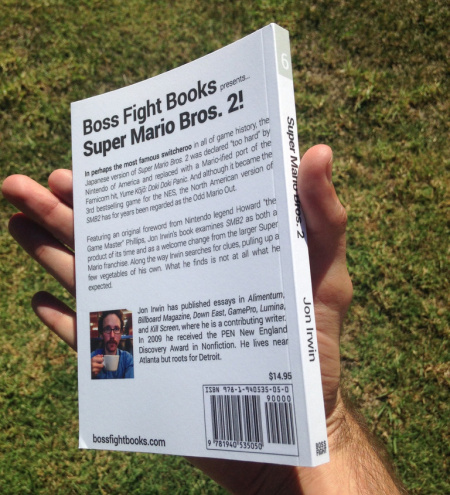 Our review copy was provided by Boss Fight Books. Sure is a nice guide! Quite timely from my perspective--I just started (re)playing the game two days ago. I've had quite enough of the NSMB series the last few years, and thought I was burnt out on 2D platformers, but I had too much fun with Shovel Knight for that to be true. I just needed a break from the mainline 2D Mario titles. SMB2, however, is quite far from the mainline, so I'm using it to cleanse my palette--quite enjoyably, I might add--and I'll eventually come back to SMB3, SMW, and the rest. @Kroisos Yeah, it's amazing how different SMB2 is to more traditional platformers. Still a unique and distinct game that holds up today. But I'm biased. 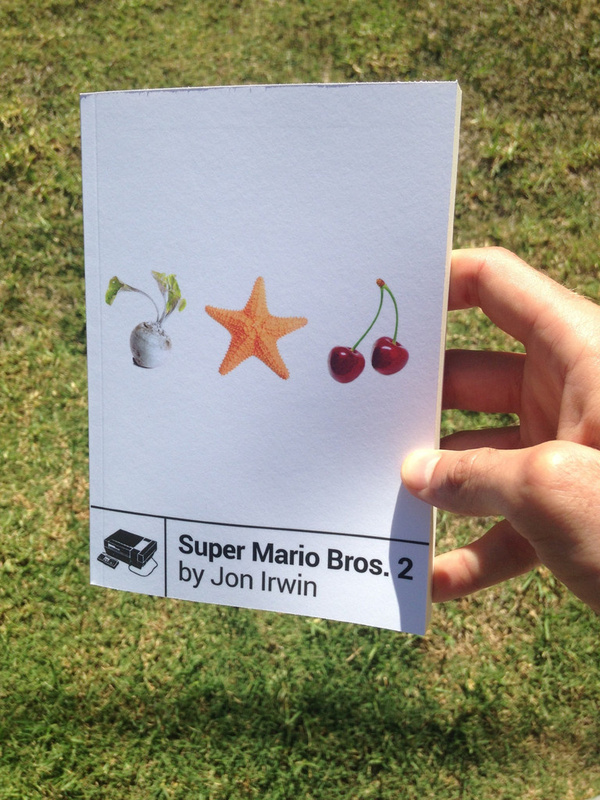 Not heard of this series of books before, but after reading a longer excerpt at Kotaku, I'm very interested in picking up a copy of this SMB 2 book some time soon. I have always loved this game and much prefer it to the seminal game that followed. I hope Nintendo take the Mario series down a different road once more.